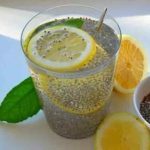 Magnesium citrate colon cleanse is considered a very effective means to get rid of the body toxins. It is normally used before a surgery or other medical procedures. 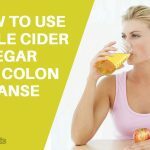 It requires a very simple process, read below to learn how to take magnesium citrate for colon cleanse. How Long Does it Take for Magnesium Citrate to Take Effect? Yes, magnesium citrate is an effective colon cleanser and works very fast. Cut out high-residue foods such as fresh or dried fruits, vegetables, cloves, etc. the day before colon cleanse. Drink clear liquids such as water, milk-less coffee or tea, broth, apple or white grape juice, sports drinks with electrolytes, etc. on the morning of the cleanse. Remember not to eat any foods except clear fluids throughout the day. At 4 p.m., take a bottle of magnesium citrate and drink it as quickly as you can. After drinking the full bottle, drink a full glass of water. At 7 p.m., take another bottle of magnesium citrate. Again, drink it as quickly as possible and follow up with a full glass of water. Keep drinking clear fluids to prevent dehydration as magnesium citrate may cause it. Note: Keep the bottles of magnesium citrate in the refrigerator to make it palatable as warm magnesium citrate tastes bad to most people who drink it. If you still can’t tolerate its taste, add some ice cubes to it. It usually takes 30 minutes to 3 hours to work. If you are pregnant, breastfeeding, taking blood thinners, suffering from kidney or heart problems, have had a bowel surgery or have a bowel obstruction, do not start it without consulting your doctor. Immediately visit your doctor if you experience breathlessness, weakness, lightheadedness, confusion, fainting, stomach cramps, severe diarrhea, nausea, vomiting, blood in your stool or an irregular heartbeat. After finishing your colon cleanse, do not immediately start consuming solid foods. You can start eating solid foods after a few days. 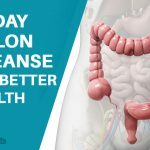 Extreme or prolonged use of this colon cleanse can lead to serious illness or even death. So, we always recommend you to consult your doctor before starting this colon cleanse. If you find yourself constipated or want to cleanse your colon, you should definitely do a colon cleanse with magnesium citrate. 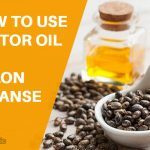 How to Use Castor oil for Colon Cleanse? 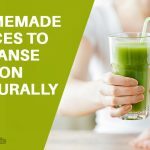 Magnesium citrate colon cleanse is considered a very effective means to get rid of the body toxins. 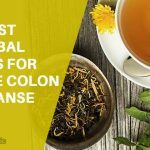 Read how to take magnesium citrate for colon cleanse.